A spectacular country music event! Held on the beautiful north-west coast of Tasmania, the Devil Country Muster has been run annually since 2013. The Muster features great contemporary and country artists from all over Australia, including some great Tasmanian talent. The backbone of the show has been the support and talent of Stuie French's insane Feral Swing Katz. 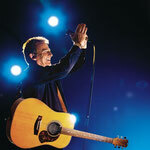 A popular fixture in the show has been Dan Thomson's mini-show A Tribute to the Great Man in Black Johnny Cash. 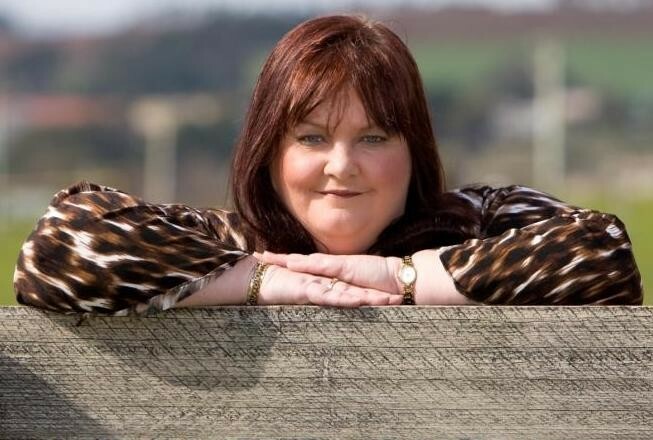 Other past artists include Jean Stafford, Amber Lawrence, Pete Denahy, Gina Timms, John O'Dae, Amber Joy Poulton, and Stuie and Camille French. The 2015 Muster featured the debut of the Walk-Up Show over at Trawmanna on the Friday night before the main show. All-comers are welcome to walk up on the night and give us a couple of songs. For over two decades now Melinda Schneider has been a leading light of the ‘new-breed’ of Australian Country music artists both in Australia and the US. In a career which began with a stage debut at the age of three, she has kept her family tradition alive by becoming one of Australia’s most sublime singers and popular live performers. But it is through her assured and accomplished song writing that she has really discovered her true voice. 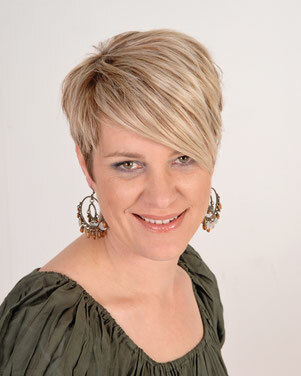 With ten albums under her belt, she has earned two Gold records and won numerous awards, including six CMAA Golden Guitars – featuring 2008 Top Selling Album for Stronger, 2005 Album Of The Year with Family Tree, APRA Song Of The Year for the song Real People and Female Vocalist Of The Year in 2003 for The Story Of My Life. 2008 brought with it an exciting new phase in Melinda’s career, with the launch of her own independent record label, Be Music. The label’s first release was Melinda’s fifth studio album Be Yourself in July 2008, which earned her second ARIA nomination for Best Country Album. 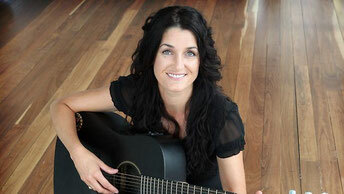 Melinda was awarded her 6th CMAA Golden Guitar for Vocal Collaboration of The Year in January 2009 for her heart-warming duet ‘Still Here’ with Paul Kelly. Melinda’s songs have also been recorded by artists as diverse as John Farnham, Billy Thorpe, Jimmy Little, Olivia Newton-John, Ricky Skaggs and Paul Kelly. As 2010 unfolded, the career dimensions of Melinda Schneider broadened dramatically. She dazzled with her dexterity on television’s Dancing With The Stars, and put her country music recording career on pause for a moment to indulge a passion for Doris Day that goes back decades. This passion resulted in the release of her shimmering tribute album Melinda Does Doris - A Tribute To Doris Day, which debuted at #1 on the ARIA Jazz and Blues chart, remaining there for a total of 9 weeks. Melinda recently starred in her brand new stage show DORIS, Doris Day – So Much More Than The Girl Next Door. Co-written by Melinda and David Mitchell (of Dusty/Shout fame), this musical tribute to Melinda’s idol, could very well be the universal story of women, set to the music of the 40’s, 50’s and 60’s. Hot on the heels of sell out seasons at Brisbane’s Twelfth Night Theatre and the Adelaide Cabaret Festival and two huge weeks at Melbourne’s Her Majesty’s Theatre, DORIS opened at The Lyric Theatre, Sydney on November 3rd 2011 to rave reviews, followed by a sell-out reprise performance at the prestigious Sydney Opera House Concert Hall in April 2012. Meanwhile, in October 2011, Melinda also released her 9th album Life Begins At 40 – The Ultimate Melinda Schneider Collection. The double CD release marked her recent milestone birthday and celebrates over three decades of Melinda’s successful recording career. More recently, Melinda has entered another very fantastic phase of her life with the birth in August 2012 of her beautiful baby boy Sullivan. In November 2014 Melinda and Beccy Cole collaborated on their #1 charting album ‘Great Women Of Country - and The Songs That Made Them’. A National major theatre tour followed in 2015, including the Sydney Opera House Concert Hall. Melinda is currently on a Regional theatre tour Nationally with a concert version of her DORIS show ‘Melinda Does Doris’ A Tribute to Doris Day and is writing songs for her new original album due out later in 2016. Since his early childhood, Jeff Brown has had a love for Australian Bush Ballad music, having grown up in a household where some of the great old pioneers of Australian and American country was the only music played. In 1997, at the age of 21, Jeff recorded and released his first album “I Remember Gordon Parsons” as a tribute to Gordon. 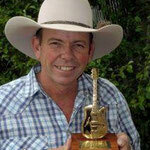 Jeff’s talents were recognised when he won the Stan Coster Memorial Bush Ballad Award at the Fosters Battle of the Bush during the Tamworth Festival in 1998. This same year, Jeff toured the country with the legendary “Brian Young Show” for 4 months, an experience which helped mould him into the successful entertainer that he is today. 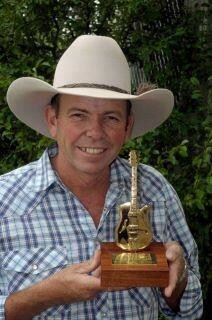 Jeff was placed as one of the “final five” in the prestigious Golden Guitar Awards at the Tamworth Country Music Festival in 1999 with the track “The Old GP” written by Ian Quinn. 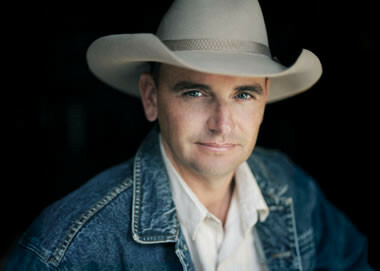 On releasing his second album “Poverty Liner” in 2003, Jeff was awarded a place in the “final five” once again, with the single “The Ghost Of Three Rivers” by Keith Jamieson. 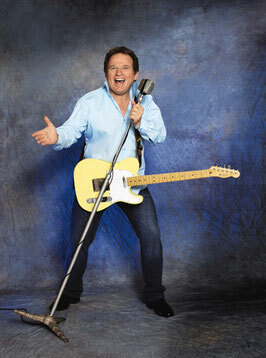 In 2005, Jeff released his third album “Mate I’m Feelin’ Lucky” and won the Golden Guitar Award for Bush Ballad of the Year with the track “Where The Yellow Kapocks Bloom” penned by Wave Jackson. 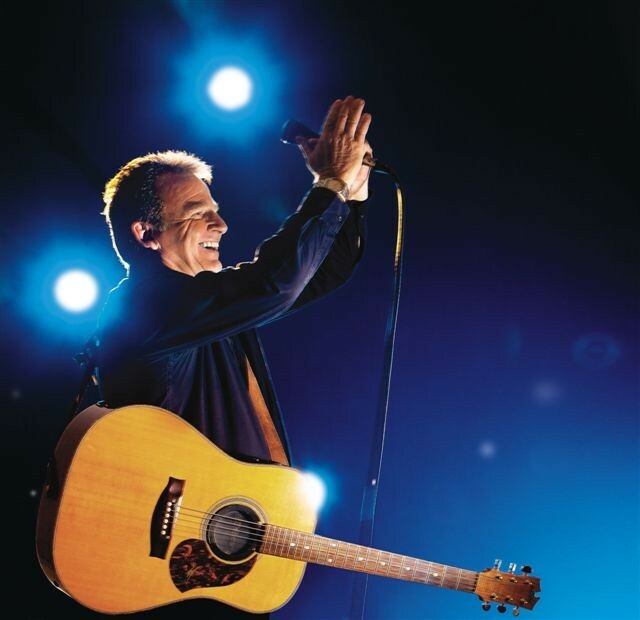 2007 saw the release of Jeff’s 4th Album “Harvest Time Again” which won “Album of the Year” at the Bungendore Stan Coster Memorial Bush Ballad Awards. The final track on this album “In The Wings of the Yard” written by Kelly and Marion Dixon and Jeff, reached the finals at the 2008 Tamworth Golden Guitar Awards for Bush Ballad of the Year. Jeff has now released his 5th album "Hard To Let Go" which was produced by Stuie French at Swingin Doors Sudios. The album has been a great success with Jeff winning a Golden Guitar at the 42nd CMAA Country Music Awards of Australia for "Bush Ballad of the Year" with the song "I Love Australia" written by Keith Jamieson. Jeff also won "Male Vocalist of the Year" and "Album of the Year" at the 2014 Stan Coster Memorial Australian Bush Ballad Awards. With farming held close to his heart and personal involvement with the transport industry, Jeff relates to the songs that he sings and delivers them with confidence and sincerity. Jeff has stuck to the Bush Ballad music with a passion and his easy listening voice adds a fresh approach to them. ‘Hard Light’ moves everything up a gear, with Travis himself digging deeper than ever before - not only with his vocal abilities, but also as a musician and most notably here, a songwriter. The lead single, ‘Just Another Girl’, is the first tease into the talents of Travis Collins and the honesty of ‘HARD LIGHT’. The single explores love lost and the girl that got away. Recorded and self-produced at the legendary Rancom Street Studio in Botany NSW (Lee Kernaghan, Adam Brand, Sara Storer), ‘Hard Light’ is an album that’s unapologetically country, unashamedly Australian and relatable to people from all walks of life. "I'm so proud of this album. For the first time in my career I'm comfortable sharing my story, scratches and all. It's taken all my life so far to realise, and accept, that 'my' stories also belong to other people. Having written 12 of these 14 new tracks, they are pages torn straight from the book of my life… They're honest, raw, authentic and unfiltered” explains Travis. 2016 has already seen Travis Collins nominated for the CMC awards and Golden Guitars, the latter of which he hosted alongside Sam McClymont. 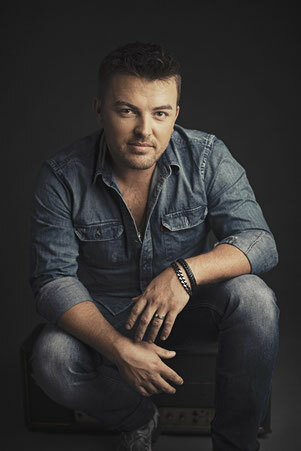 Recently a part of the country super group, Adam Brand and the Outlaws, and a sweeping national tour of almost 40 dates, Travis continues to impress audiences and listeners nationally and cement his reputation as a powerhouse artist with an ever-growing presence in the Australian music industry. Sandra Humphries – The Real Deal. The moment that Sandra Humphries opens her mouth and sings, you know that she as felt every emotion that she puts into her songs. 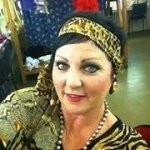 Sandra Humphries is a South Australian singer songwriter that has lived and breathed country music from a very young age. This is evident in the way she sings, some compare her to her heroes, Loretta Lynn, Tammy Wynette, with a little Emmy Lou thrown in. Sandra has her own unique way of delivering a song which has gained her the nickname amongst her peers as Australia’s Queen of Country Music. Having released 5 albums, all which have gained her awards, Independent Female Vocalist of the year twice and Independent album of the year awards and finalist spots. All albums have had top ten hits on the Country Music charts and Sandra’s newest release I’m Stronger is no exception, with her first single release hitting the Country charts almost as soon as it went out to radio, finally making it to the number 1 spot on the Hot FM Country Charts. This new album consists of all original material, something which Sandra has been building towards, just waiting until the right time to release her own material. Reviews for the album have been exceptional, with most of the industry declaring this her best work yet! Already the singles released from this album have all gained top 10 spots on the Australian Country Charts. 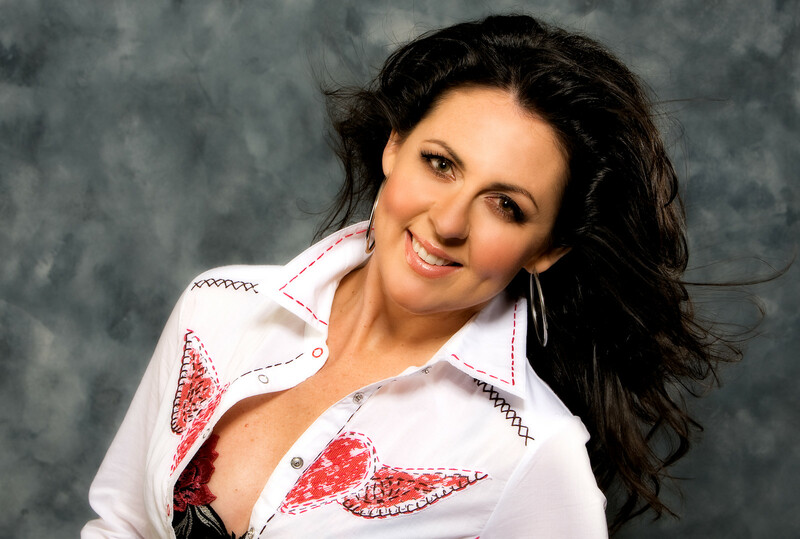 Sandra performs regularly at Australia’s premier Country Music events, and has a very strong fan base Australia wide, she has also toured in America, Europe and New Zealand. Having performed with most of Australia’s leading Country Music artists, Sandra has a vast amount of experience in performing for the crowd! 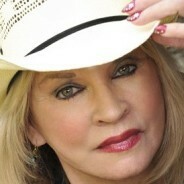 If you like your music country, you will be guaranteed to get it with Sandra, you will have a laugh and maybe a cry, you will be entertained, you will immediately feel like you’re a part of the Sandra Humphries family, and you will most certainly put her on your list of artists to see again! 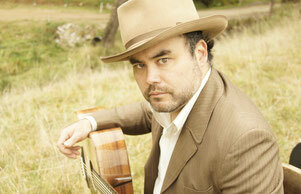 Pete Denahy is a comedian and bluegrass musician hailing from Yackandandah in Victoria, Australia. He is a songwriter and singer whose show includes everything from serious ballads to ridiculous stories and songs with a twist. Pete wrote the "teenager song" Sort Of Dunno Nothin' which went viral on youtube and is seen as a Gen Y anthem, although people from all generations relate to the song. Pete has toured with Slim Dusty, Sara Storer, Troy Cassar-Daley, Lee Kernaghan and has worked in the Melbourne comedy scene with Akmahl Saleh, Elliot Goblet and Flacco. Being half Japanese, Pete draws much inspiration from his late grandfather, Kido Zenichi (木戸 全一 ) who was a well respected musician in Hiroshima. In 2013 Pete travelled Japan and played bluegrass and country with some of the finest pickers he's shared a stage with. Pete's main inspiration in the business of entertainment is the man who wrote "I've Been Everywhere", Geoff Mack who has been his mentor since 1991 and is one of his best friends. Victorian born and Queensland based, Kiara Rodrigues is the very essence of diversity. 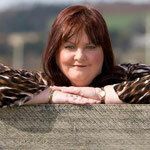 Her compelling tones and vibrant personality leave her audiences mesmerised. At just 19 years of age, her performances emulate a sense of maturity well beyond her years. This comes as no surprise as in 2015, she celebrates a decade long career in country music. 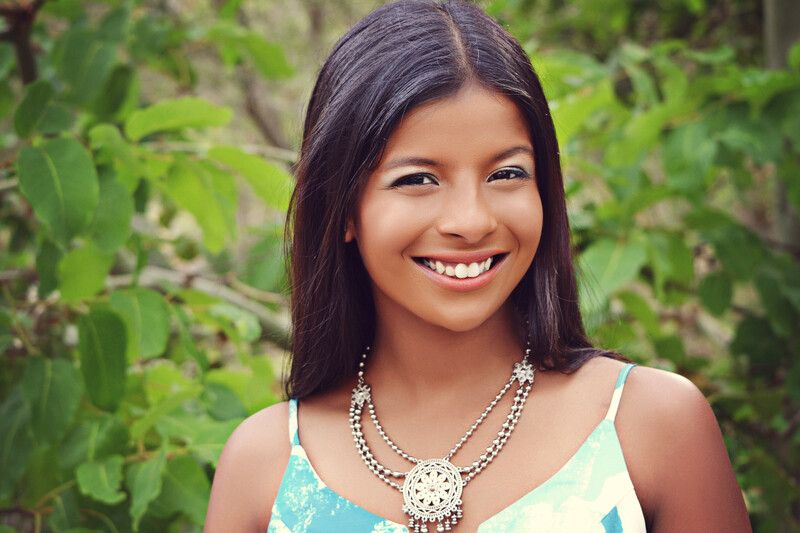 With TV appearances on "Young Talent Time" and a Top 28 finalist in the Under 25 girls category of "X Factor" 2014, Kiara Rodrigues is certainly no stranger to the stage. Her achievements include being crowned Triple World Champion (Country, Gospel, Rock) at the "World Championships of performing Arts' 2010, 2011 Aristocrat Entertainer of The Year, and the 2013 "Voice of Urban". Additional highlights of her career include singing at the world famous "Tootsie's" bar in Nashville at 14, singing the national anthem at NRL games and finally, being the youngest ever graduate of Tamworth Camerata (Now the Academy) at age 10. The release of Kiara's EP "I'm Gonna Be Fine" was received with abundant success as the title track soared to #5 on the Australian Country Itunes Chart. Her fresh and contemporary sound is equally matched by her ability to deliver the timeless classics, making her an ideal ambassador for country music. Rodney’s show and standing in the Australian entertainment scene is no accident. It is the result of a long, hard apprenticeship which he says “started a while a go”. From his first engagement playing guitar in an old time dance band at his local hall, to New Faces where he got his first big break, Rodney has survived the highs and the lows of the industry. On the demise of the Tonight show Rodney teamed with Terry Gill to form Double Tempo, a duo which performed both on television and the cabaret circuit around Australia. After a variety of music hall, theatre and band work, Rodney embarked on his solo career. He also joined one of Australia’s greatest comedians, Col Elliott, not only as his special guest but played the straight man to many of Col’s characters. The world of comedy added another string to bow, and the refreshing aspect of his routine is that it centres on good clean fun. As a result of his rising popularity Rodney received requests to be the special guest for other entertainers such as Gloria Loring (Days of Our Lives fame), The four Kingsmen, The Delltones, Rolf Harris, The Platters, Freddie and the Dreamers and the list goes on. With the release of Dean’s 2014 album “I’m The Land”, his tally of albums now stands at thirteen. Over the years Australian country music has produced some fine voices but few that have embraced the path of the new traditionalists like our own Roo Arcus. Stumbling onto his second studio album, This Here Cowboy, you could be forgiven for thinking that you were hearing a young George Strait, or a fledgling Alan Jackson. 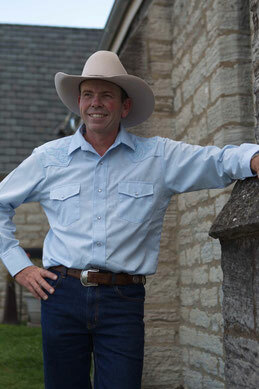 After emerging onto the scene in the late 90s from Australia's country music college and touring with (even writing a song, Ringers, Rigs and Drivers, for) the late Slim Dusty, Roo Arcus has sought to find his place in the pantheon of Aussie country singer songwriters. Although his 2000 debut album, Station Boy, set Arcus on the right track with three top 10 singles, two Golden Guitar nominations and the Independent Male Rising Star Award, it turned into a false start when things went awry back home. Roo, a working cattleman, suffered the loss of his mother to leukemia, a tragedy only compounded by the severe drought affecting the family's southern tablelands cattle property. 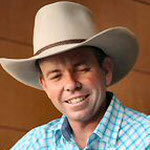 Having recently married with a young family and the farm to rescue, Roo walked away from his singing career in 2004. Over eight years of getting his priorities in order, Roo started to get the itch to return to his first love: writing and singing great country songs. 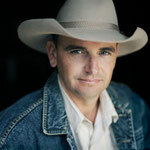 His 'comeback' album This Here Cowboy (2012) scored two for two as both radio singles - This Here Cowboy and the self penned Out On The Farm were back to back #1s on Australian country music radio. Now Cowboys and Sunsets is well-positioned to continue Roo’s success and cement him as one of Australia’s great new traditionalists. 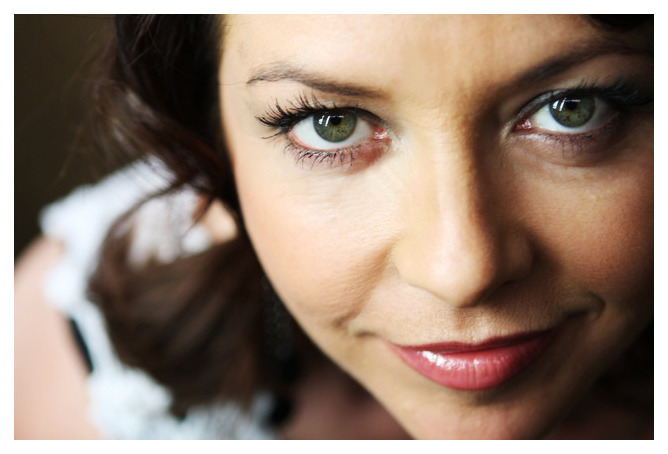 Australian through and through, Tania Kernaghan is one of this country’s most loved and respected performers. Whether it’s singing up a storm on stage, emceeing a black tie event, sharing her life's journey through public speaking events or rolling up her sleeves to help out with one of her much-loved charities, Tania is a passionate Australian, sharing her love of the country and its characters through her stories and songwriting. Quite simply, Tania is proud of who she is and where she’s from. First and foremost a recording artist, Tania’s musical journey began when she was a child. 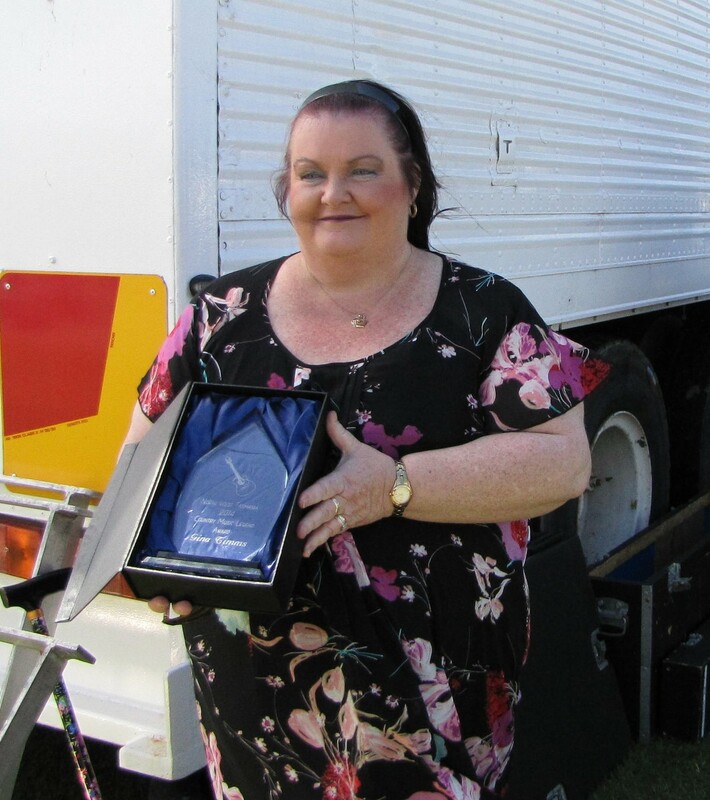 An integral member of the Kernaghan country music dynasty, Tania spent much of her childhood touring the length and breadth of Australia with her family. Those wonderful, adventure-filled days instilled in Tania a love of both performing and storytelling, and saw her forge a professional songwriting partnership with younger sister Fiona. Fast forward three decades, Tania and Fiona continue their successful songwriting collaboration, whilst drawing inspiration from their surroundings and real life experiences. Tania’s impressive list of musical achievements includes six studio albums, winner of numerous Golden Guitar Awards including the coveted Female Vocalist of the Year (twice), Song of The Year, Album of the Year and Vocal Collaboration of the Year. With 15 number one radio hits to her credit, record sales in the hundreds of thousands and sell out concerts across Australia, Tania’s popularity continues to skyrocket through her ever growing fan base. It is obvious that Tania holds a warm place in the hearts of fans the world over. Her diverse career has included television presenting roles for Channel 10’s Whatʼs Up Down Under, Channel 7’s Queenslander Weekender, a leading part in Australian movie Shadows of the Past, and numerous emceeing and public speaking engagements and representing Australia on the international stage at the renowned Grand Old Opry in Nashville TN. She is Patron for both the Riding for Disabled Association and Outback Trailblazers – an annual event which raises much needed funds for Angel Flight Australia. Tania was recently appointed Ambassador for Outback Queensland Tourism Association and has been a Board Member for the organization for 3 years. 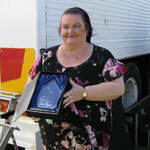 Tania can often be seen entertaining from horseback at Rodeos and Equine Events across Australia. A very accomplished horsewoman, she feels just as at home in the saddle as she does in front of a television camera or performing on stage. On the rare occasions when Tania is not working she loves to jump in her Toyota Prado and head North, South, East or West to explore this big, beautiful country of ours, drawing inspiration from the unique places she discovers, and the fascinating characters she meets ... knowing her next hit record may be waiting just over the horizon. Amber Joy Poulton is a passionate and dedicated country music artist. She has recently recorded an album in Nashville entitled “Foolish Things” with the first song “Rosalie” due for release in June. She completed her diploma in Massage Therapy in 2008, was a top 10 grand finalist in the Toyota Starmaker 2009 and recorded her first album “Taking Goodbye” soon after. She is the recipient of a 2012 TIARA award, two song writing awards & has had 5 songs reach the top 30 on the Australian Country Music Charts. She also toured the country with her touching tribute to the first Queen Of Country, called “Honky Tonk Angels – the story of Loretta Lynn & friends”. A highlight of her career has been performing with Kenny Rogers. Amber Lawrence is an award-winning singer-songwriter like no other, about to embark upon the release of her highly anticipated 4th album – “Superheroes”. In 2012, Amber launched '3' her third and most successful album to date, loved by fans and critics alike, to a sold out Tamworth Capitol Theatre Audience. The second single from ‘3’ – ‘The Man Across The Street” saw Amber become a 2013 finalist for the Country Music Awards of Australia - ‘THE GOLDEN GUITARS’ for Female Artist of the Year, plus a finalist in the 2013 Bush Laureate Awards. And also saw her invited to perform for Australia’s Defence Force personnel in Egypt, and perform the song in front of 40,000 people at the Anzac Day Football Match. Looking back over the past years, Amber has shown consistent growth and success. 2013 was a huge year of touring, throughout which she headlined a 30 show tour with X-Factor runner up – Jason Owen, covering much of the East Coast of Australia. The tour saw Amber and Jason performing their hit duet ‘Islands in the Stream’. Amber has released 13 singles over the course of her career to-date that have either reached #1 or Top 5 on the Country Music Radio Chart and the CMC Video charts. 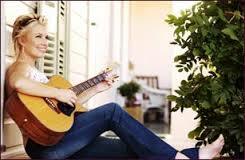 She is the recipient of no less than 10 country music awards, 6 Golden Guitar nominations and two APRA nominations. Versatility being one of Amber’s traits, she has also hosted ABC Radio’s “Saturday Night Country” and the “Southern Star Independent Awards”. She’s the winner of the “Telstra Horizon Award” (2010) and is well known for her fun and entertaining live shows – selling out the Tamworth Capitol Theatre at the 2011 & 2012 Tamworth festival and filling the Blazes auditorium in 2013 and 14. She's played all the major festivals, including Gympie, Deni Ute Muster and CMC Rocks the Hunter, has toured extensively and has one of the most loyal fan bases in the country! Born in Tasmania to a Tasmanian mother and a Navajo Native American father whom she never knew existed until much later in her life, Jean spent her earlier years in the hills of Meander, Northern Tasmania, where she learnt her craft as a budding country singer performing at local hotels country halls and dances. It was from that rural area in Northern Tasmania to Nashville Tennessee, that Jean Stafford left an imprint for many of today’s younger artists. Her successful career accomplished from a remarkable journey, the road was long and hard for the silver-voiced girl who made her first public appearance on Tasmanian television at the age of twelve. In 1975 Jean Stafford was the first Australian born to win the Female Vocalist of the Year Golden Guitar and subsequent multi-award winning Golden Guitars in 1980 & 1981. Jean was crowned Australia’s Queen of Country Music in Sydney in 1989 and in the early ‘90’s she was appointed an Honorary Commission as Ambassador to the USA by the Tasmania Government, and presented the Keys to the City of Nashville’ by the Mayor for Services to Country Music in the US, and an Honorary Citizen of the State of Tennessee by the Governor. Spanning some three decades, Jean’s career heralds three Golden Guitars and a prestigious MO Award, Double Platinum and two Gold Albums for ‘Finest Collection’ and ‘That Say’s It All’ and various Industry Services and Songwriting Awards.